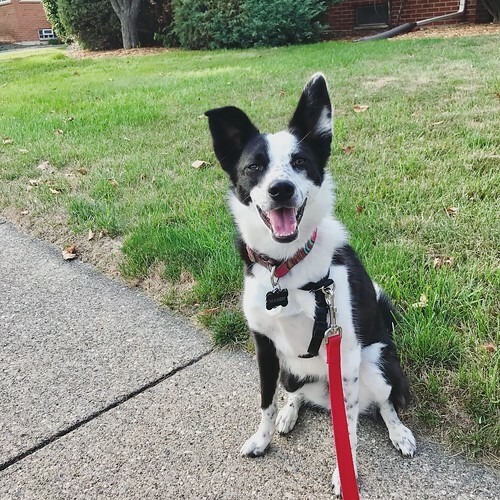 Yesterday was National Dog Day; here’s Maddy with lots smiles to wish you a happy National Dog Day! 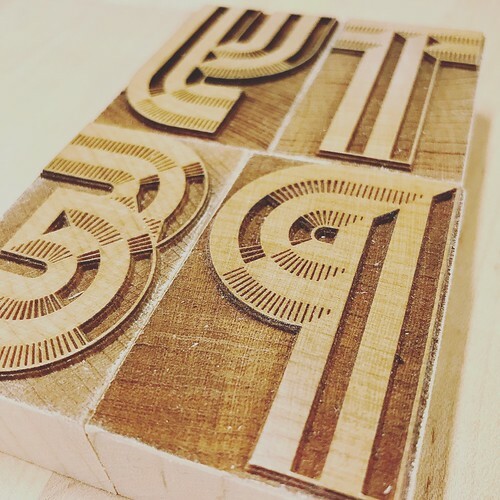 We had a great Saturday afternoon at the Ann Arbor District Library too; they invited Ryan to be part of the Letterpress Open Lab and screening of Pressing On: The Letterpress Film. 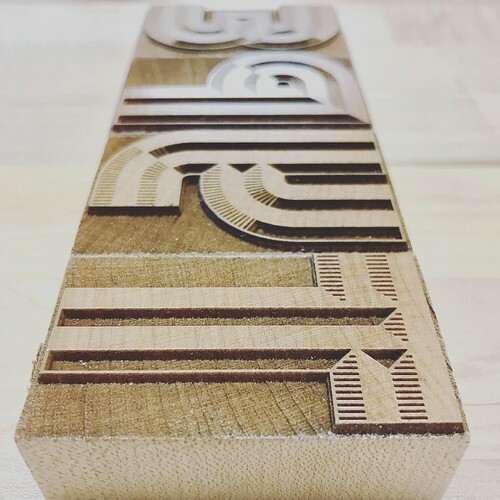 The film was beautifully done and it was really cool to see Ryan’s Bevel Chromatic Grotesque type in action (pictured here). 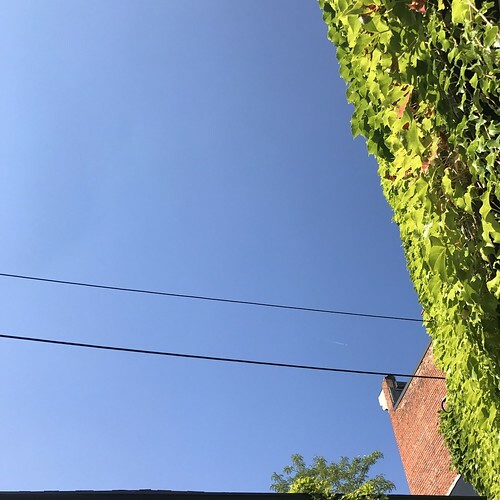 Here are some safe ways to view the eclipse; Ryan made his own pinhole camera using a box, some tape, a piece of white paper, and some aluminum foil. 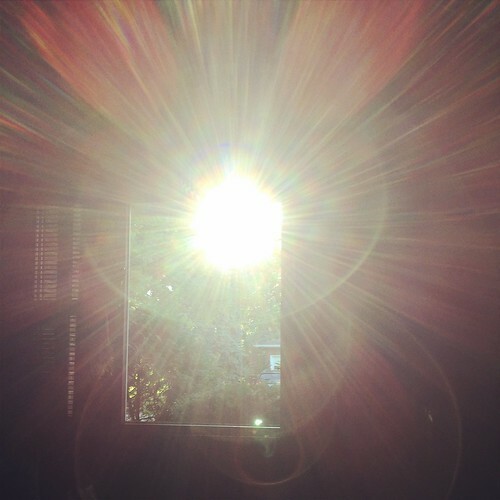 Listen to this…I’m, sorry I just can’t help myself! 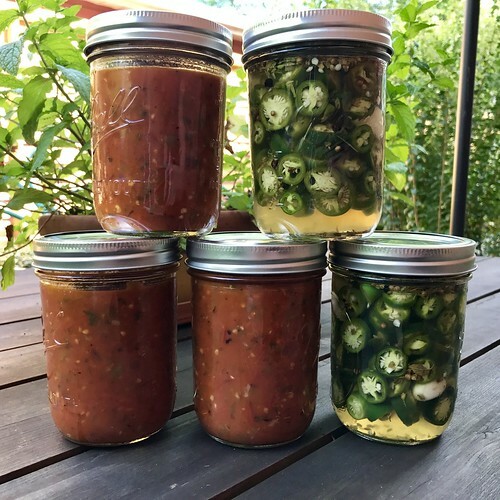 It seems our garden is really set up to make sauces and hot sauce more than anything else. Rather than just using our serrano peppers for hot sauce again (which we still may do) we decided to mix them with our tomatoes for a nice salsa that can be quick canned for preserving in the fridge or freezer. 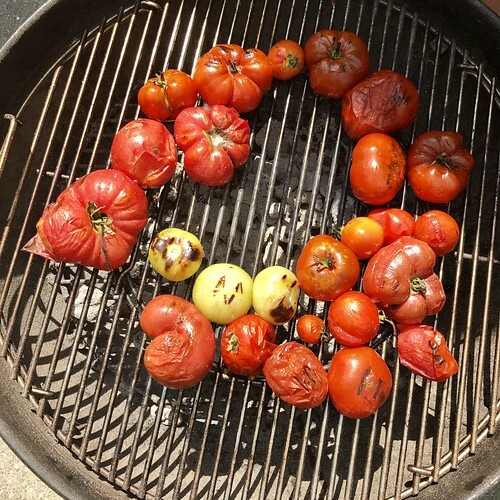 On a grill roast the tomatoes and onions. Remove from grill and let cool. Small dice the onion. Core the tomatoes and put into a blender or food processor and puree (ours produced just over 4 cups of tomato sauce). Heat 2 tablespoons of olive oil over medium heat in a large pot. Add the garlic and peppers and sauté for a few minutes (3-4). Add the onions and continue to sauté for a couple more minutes (2-3). Add the tomato sauce and vinegar and bring to a boil. Once boiling reduce the heat to low and let simmer for about 10-15 minutes or until the sauce starts to thicken a bit. Add the cilantro and salt and pepper to your taste. 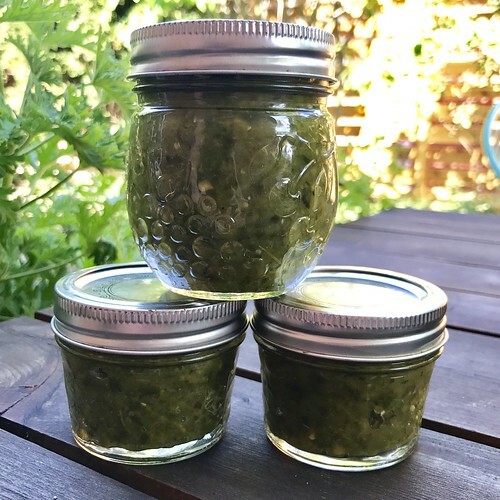 This recipe is not safe tested for real canning, we’re not certain about whether or not there is enough acid to keep it on a shelf for long term. That said, there should be enough vinegar for long term freezing and making it shelf stable in your fridge for a while. Also pictured above, we pickled our garden jalapeños using this recipe. 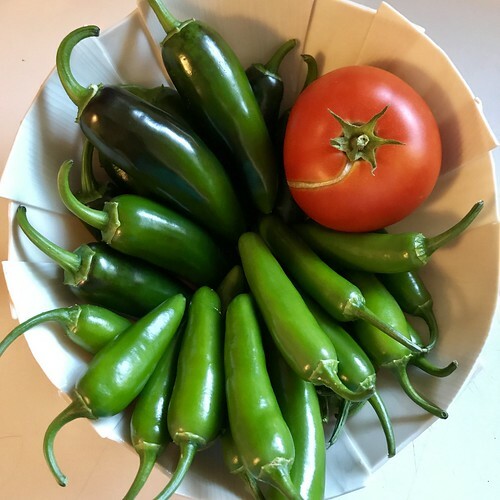 We grew our own poblano chile peppers this summer; now that it’s getting to be late August and the weather will soon turn, we’re harvesting a lot of ripe peppers, tomatoes, etc. and figuring out what to do with all our garden goodies. With us both coming from Texas, we are fans of spicy food and Hatch chiles hold a special place in Ryan’s heart as it wasn’t too far from his hometown and an often used and enjoyed ingredient in home cooking. 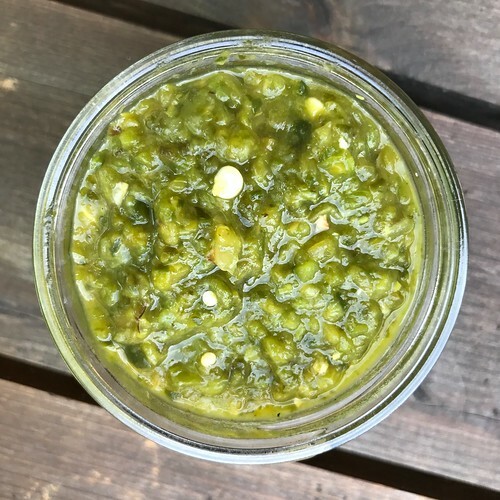 When he recently saw fresh Hatch chiles in our local grocery store, he was sure to pick up a bag and decided they would pair well with our homegrown poblano chiles for a nice, spicy sauce. Roast tomatillos on the grill. Roast peppers on the grill, over medium heat, until skins are browned and start to come loose from peppers; remove from heat, place in container, and cover to steam. Once cooled, remove pepper tops, deseed, and remove skins leaving you with only the flesh of the peppers. Put all ingredients in a food processor and purée. After putting this together and tasting it, Ryan called it the “best sauce ever”; it’s fresh, and spicy, and if you’re not afraid of some heat give it a try for yourself! 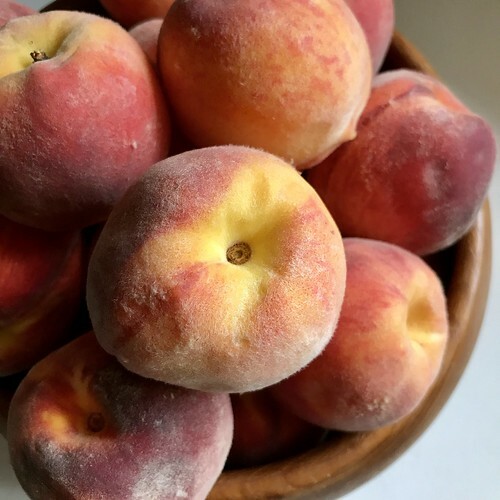 It’s peach season in Michigan and there is an abundant supply of juicy, ripe fruit available at our local farmer’s markets – or if you’re lucky enough to have a friend who has peach trees and is willing to share, from friends too! We were inspired by our friend Jennifer, who recently made and shared a beautiful peach crisp photo, and our friend Laura, who generously gave us a bag of peaches from her yard, to make our own peach crisp and it did not disappoint; we used this recipe as a guide (thank you, Jennifer!) and Ryan did a bit of tweaking using what we had available in our pantry (we added oats and cinnamon and left out the garam masala). 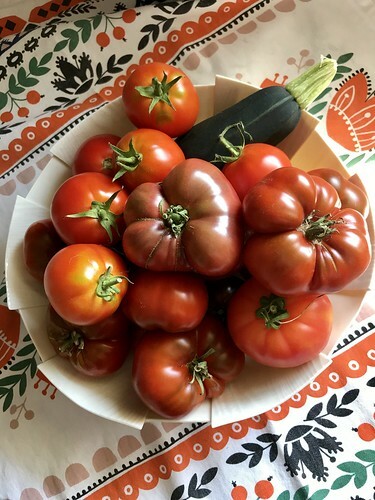 While we aren’t growing our own peaches, we are growing our own tomatoes, zucchini, strawberries, peppers, and herbs this summer and our tomato plants are producing some beautiful fruit; just look at this heaping bowl of tomato (there’s a zucchini hiding in there too) goodness! As our ripe tomato count is rising, we’re considering what do with them all…pasta sauce, salsa, etc. I couldn’t resist snapping a quick photo of them all piled up in this beautiful bowl by Abigail Murray Studio on top of this tea towel by MirDinara. 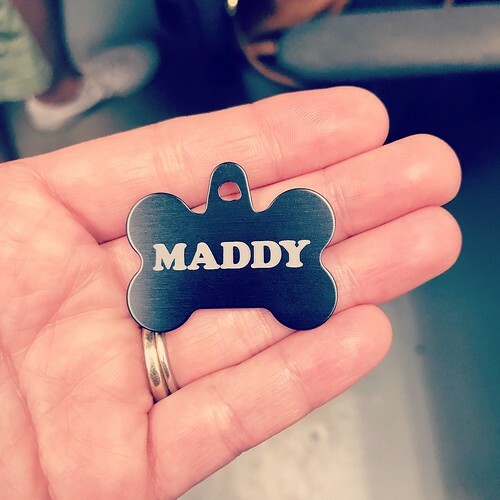 We also took some time this weekend to use the laser cutter at Maker Works to make a custom-etched dog tag for Maddy; what we ended up with was 100 times better than what we were able to get from the machine at the pet store too. 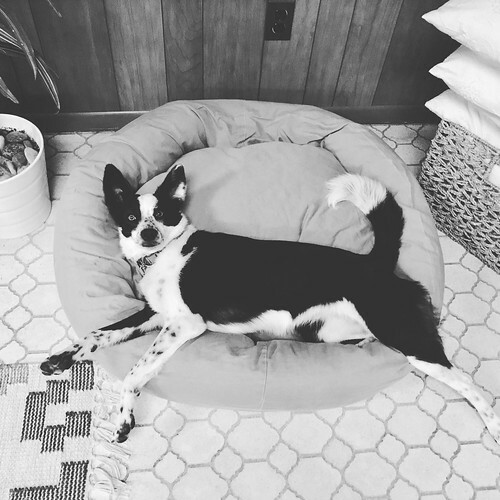 DIY for the win! 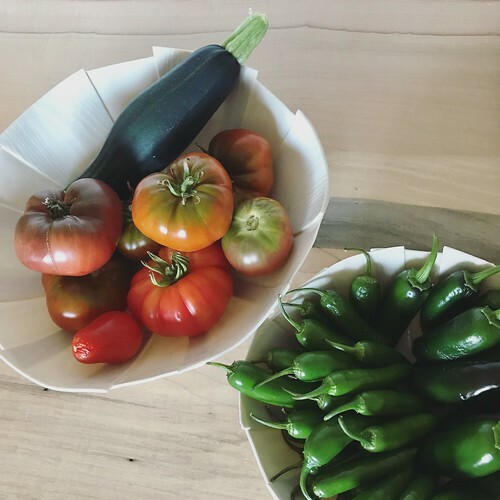 Our garden is producing peppers like crazy now and our tomatoes are doing pretty well too; I picked another zucchini and a decent-sized poblano pepper yesterday! 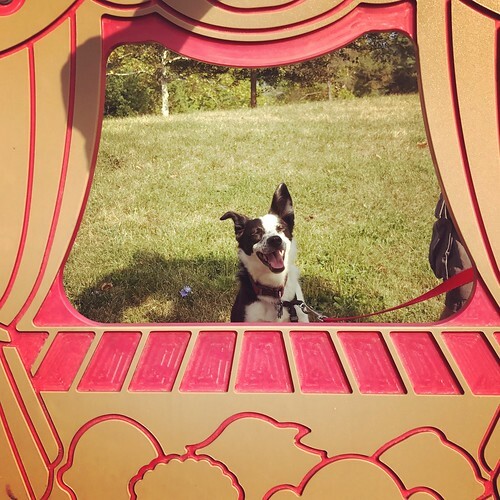 We had a fun weekend catching up on past Game of Thrones episodes for this season, visiting with friends, and we had a relaxing Sunday filled with a nice walk in a local park followed by some dog park fun with Maddy, then lunch at a local place that was new to us, and a visit to our local Humane Society to drop off some donations. 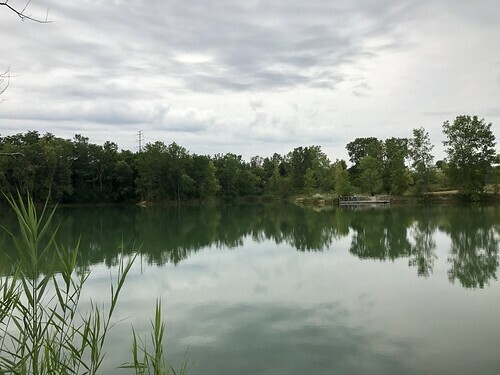 The weather cooled off this past weekend and it was beautiful weather to be outside in! Cooler temps are already making me think of fall and I’m getting excited at the thought of having our first fireplace fire, fresh apple cider, and the changing leaves.